Is there an answer to the Agricultural and Environmental Dilemmas? YES!! AgriSea NZ Seaweed presents the second of 5 workshops across New Zealand in 2019. Join Dr. Christine Jones, an international authority on Soil Ecology and Profitable Farming systems in an interactive and engaging workshop. Helping farmers from NZ and around the world to transition from high input farming to a refined farming system incorporating bio-stimulants to achieve economic and environmental sustainability. Past attendees of Christine’s workshops have labelled them "dynamic, applicable and life changing", Christine is able to present new scientific information in a way that is easy to understand and apply in real-life farming situations. In fact, NZ Farmers who have adopted learnings from Christine's Workshops have: "saved on fertiliser costs, increased production AND re-ignited their passion for farming". NZ Farmers are savvy, hardworking and quick to take up new innovations in Agritech, in 2015 Dr. Christine Jones ran 7 soil health workshops across New Zealand with over 700 Farmers and Advisors in attendance - this opportunity is not to be missed, tickets are limited and will sell out. Morning Tea and Lunch are included in the ticket price. Learn more by watching: https://youtu.be/1JQ2A8bUHNA, visit https://agrisea.co.nz or visit the Facebook page for more information. If you are wondering why we are sharing this, see this article. David’s tour kicks off with a sold out 5 day event at Taranaki Farm in New Zealand. He has several events in Australia as well, both 5 day and 2 day duration. Visit his website for dates and details by clicking here. This Raw Milk Series event, Risk Trade-offs, will discuss the hype, the science, and of course the risks around the consumption of raw (i.e unpasteurised) milk. This topic is the starting point of a wider discussion around what the role of regulation should be in public health. The Raw Milk Series is an open forum for discussion and debate about the greatest challenges facing society today, and how this should guide and influence our scientific work. These events will consist of invited speakers with particular expertise, and international recognition in the field under discussion, followed by a lively open debate. These meetings are open to anyone; academic, industrialist, or member of the public. The idea behind the series began when considering the benefits and risks of consuming raw milk. Controversy has been brewing around the world for several decades about the risks and benefits of raw milk, i.e., fresh unprocessed milk that has not undergone pasteurisation. Scientific evidence documents both benefits and risks associated with drinking raw milk, but public health authorities often focus exclusively on perceived risks rather than the full body of evidence regarding risks and benefits. This forms the basis for discussion during the first event on the topic ‘Risk Tradeoffs : Crying over Raw Milk’. There are two further such events currently planned for this series. ‘Risk Communication: Lying over Raw Milk’, where issues of fake-news, the ethical use of absolute and relative conditional probabilities, dark methods in advertising, and the "authority" problem of undue belief in numbers promulgated by government or advertisers will all be open for discussion. The final event planned in this current cycle will be titled ‘Risk Regulation: Dying over Raw Milk’, where the current thinking on making life-and-death decisions for public good and human health will be interrogated. What is the role of regulation, and who is responsible when it fails? Are catastrophes ‘black-swans’ unavoidable? In a modern world of algorithmic decision making is the current regulatory framework even still applicable. Become a price maker instead of a price taker: the how-to for profitable regenerative farming. Salatin’s mission is to develop emotionally, economically, environmentally enhancing agricultural enterprises and facilitate their duplication throughout the world. Fitzroy Basin Association Inc. is delighted to host Joel Salatin and bring his internationally renowned principles to Central Queensland audiences in April. Click here to see the flyer. This is a great opportunity to meet with some foremost cheesemakers before the Melbourne Food and Wine Festival event the following day. Come and listen to cheesemakers and microbiology speakers - including Mateo Kehler of Jasper Hill Farm in Vermont, Bronwen Percival of Neal’s Yard Dairy in London, and our own Carla Meurs of Holy Goat Cheese in Victoria, and microbiologist, Dr Ian Powell. Food journalist and author, Richard Cornish, will moderate the discussion. "Australia shares an unlikely history with the UK and the US in the world of farmhouse and artisan cheese. We each had a thriving farmhouse and artisan cheese industry that growing industrialisation, WW2 and food safety concerns disrupted almost completely. But each of us is trying hard to rebuild that industry. The UK and the US are ahead of Australia in this regard, but we are hurrying to catch up. All of us are excited by the collaborative work being done by scientists with artisan cheesemakers throughout the world, including here in Australia, enabling the cheesemakers to make even more delectable cheeses from quality milk produced by small-scale sustainable dairy farms." Showing all over Australia. Buy tickets here. Symbiotic Earth: How Lynn Margulis rocked the boat and started a scientific revolution is a feature length documentary which presents a portrait of the great scientist and teacher Lynn Margulis who was at the helm of a significant paradigm shift in biology that affects how we look at ourselves, evolution, and planet Earth. Lynn Margulis traveled extensively, networking with collaborators in the sciences and humanities on ideas that stress the importance of symbiosis among all living things from bacteria to Gaia. Filmmaker John Feldman has interviewed many of these world famous scientists and thinkers. His film will bring to the general public these revolutionary ideas.Lynn Margulis, a courageous evolutionist and geoscientist, died unexpectedly of a stroke in November of 2011. A lively, personable, and down-to-earth scientist, her pioneering ideas cast doubt on accepted scientific “dogma” and challenged the establishment. She triumphed over ridicule, scorn, and chauvinism. Also see this article: Farming is all about microbes. Carlton, Victoria. Buy tickets here. 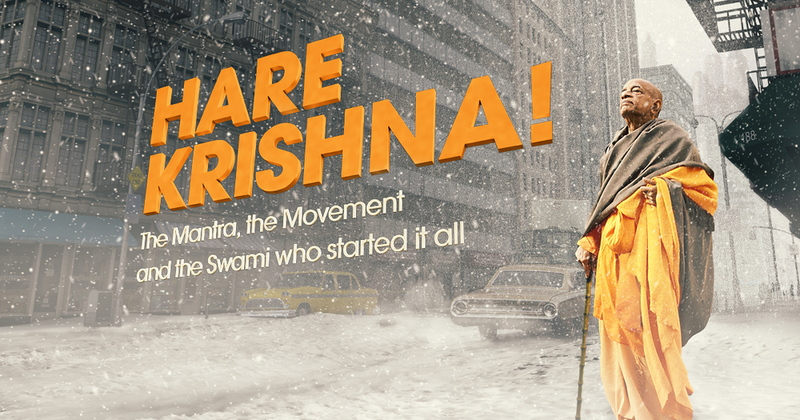 Watch the documentary trailer here. Come and meet with three RAW MILK supporters next Wednesday night. Rebecca Freer, Arabella Forge and Taranaki Farm's Ben Falloon will be on the Q&A panel at the screening of The Magic Pill. Raw Milk Cheese Appreciation has become a much loved annual world-wide event. Find our here where you can access raw milk cheeses and become a turophile (cheese lover). PhD candidate Penny Wilson will present her final seminar on her research into the governance of raw milk. Her research examines the dangers, and benefits, that the scientists and regulators are protecting the community from and asks if raw milk is really such a health hazard. In spite of the vehement statements by regulators and scientists warning against drinking raw milk, committed consumers still demand the product. Tonight Penny will examine the strategies, risks and dangers producers and retailers take to indulge consumers’ risky pleasure. Furthermore, she will ask if a legal, regulated product would be less risky than prohibition and the corresponding growing underground trade in raw milk. View Penny's research project here. The world’s most innovative farmer, Joel Salatin is back in Australia! What would our food system look like if small scale regenerative farms were the norm? Find out with renowned American farmer and author Joel Salatin, Costa Georgiadis from ABC’s Gardening Australia and Tammi and Stuart Jonas of Jonai Farms, leaders in the Australian agrarian movement - on Sunday 26 February, 2017 at Jonai Farms, Eganstown Victoria. Buy tickets and read more here. Click here to watch the videos of the event. David Asher is back in Australia after an extremely successful visit to Australia last year. David is an organic farmer, farmstead cheese maker and cheese educator based on the Gulf Islands of British Columbia, Canada. David uses traditionally cultured methods of cheese making and travels the world teaching this natural method. His workshops teach a cheesemaking method that is natural, DIY and well suited to the home cheese maker or artisanal production. David is author of The Art of Natural Cheesemaking. Two days allows you to see many cheeses through the beginning stages of their evolution and provides insight into how all styles of cheese can evolve from the same basic ingredients. Learn more about David and The Black Sheep School of Cheesemaking here. Raw Milk Cheese Appreciation Day is your chance to find out what makes these cheeses truly extraordinary. Come and discover the secrets of traditional cheese making practices with organic farmer, farmstead cheese maker, and author of ‘The Art of Natural Cheesemaking’, David Asher. David practices a true farmstead cheese making, avoiding the use of unnatural additives and laboratory raised cultures; instead he uses only natural ingredients, keeping his own starters, growing his own fungi, and working with the indigenous microorganisms of raw milk to help cheeses evolve their best possible flavour. This is a rare opportunity to learn with David, who will be visiting our farm from the west coast of Canada. On Sunday, March 13th, David Asher will present a workshop on natural cheesemaking at the Melbourne Food And Wine Festival. This workshop will serve as an introduction to making basic rennet cheese curd (the foundation recipe for nearly every type of aged cheese). David will explore camembert in detail as well as Kefir (a multifaceted probiotic and cheesemaking starter culture).This workshop will take place at Urban Dairy in Queensbridge Square at 2:00 PM, costing $90 to participate. The Art of Natural Cheesemaking is a new/old approach to cheesemaking that is inspired by traditional practices, and based on the ecology of raw milk. Much like wild fermentation, natural cheesemaking teaches how to partner with fresh milk’s resident ecology to transform milk into delicious, healthful cheese. In the lead up to this, David will be at Carriageworks Farmers Market for a free talk and demo on Saturday the 5th. 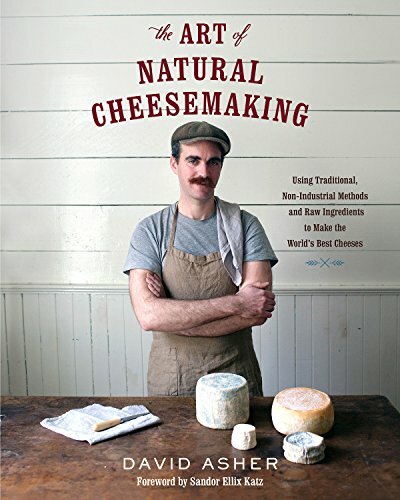 Welcome DAVID ASHER wild fermenter and author of The Art of Natural Cheesemaking. He's coming all the way from Canada to show us how he makes the most interesting and divine cheeses using traditional, non-industrial methods. Panelists include: Dr. Joseph Heckman, David Gumpert, Dr. Don Schaffner and a Ph.D candidate in food safety. Raw milk comes straight from the animal and does not undergo any further processing before human consumption. It is not allowed for sale in New Jersey or the nearby states of Delaware and Maryland. Other states including New York, Vermont and Massachusetts allow farms sales of raw milk. Ten states currently allow the sale of raw milk at the retail level including Pennsylvania, Connecticut, Maine, New Hampshire, South Carolina, and California. What are the pros and cons of raw milk, and why is there so much disparity across the States and over the allowance of raw milk sales? Learn the nitty-gritty details during this lively dialogue between a panel of food safety experts and raw milk aficionados. Professor William van Caenegem leads a panel discussion including fellow researcher, PhD candidate Madeline Taylor, Alison Lansley, Secretary of the Australian Specialist Cheesemakers’ Association (ASCA) and specialist cheesemaker Paul Wilson from Nimbin Valley Dairy, on the regulatory framework in Australia on the production of raw milk cheese.